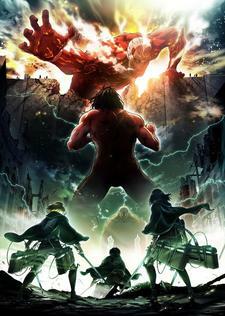 The premiere of Shingeki no Kyojin Season 2 (Attack on Titan Season 2) has been delayed to Spring 2017, as revealed during the Reading & Live Event Shingekisai for Shingeki no Kyojin and parody spin-off Shingeki! Kyojin Chuugakkou. It was previously announced that the sequel would be broadcast in 2016. It was also announced that the director for the series has changed. Tetsurou Araki is now the general director and Masashi Koizuka, previously the series' assistant director, is now director. Rest of the staff members and all the cast members from the original series are also scheduled to return for their roles. The official site for the second season is also now open. Damn it man! Don't revive an old thread! Just post it on it's forum! I freak out because I thought it's a new article and delayed again! I'll get hyped when they release the exact day it premieres. "It will postponed to 2022"
Good luck avoiding all the Spoilers folks. I would have prefered if it was delayed till spring 2022 but that is unlikely. Why is it delayed?I am flipping out.I wanted to see it this year! The wait between the HxH chapters takes less time. Well At Least We Now Know The Actual Date! Im Hyped For IT.